Saturday night January 13 was a special night. 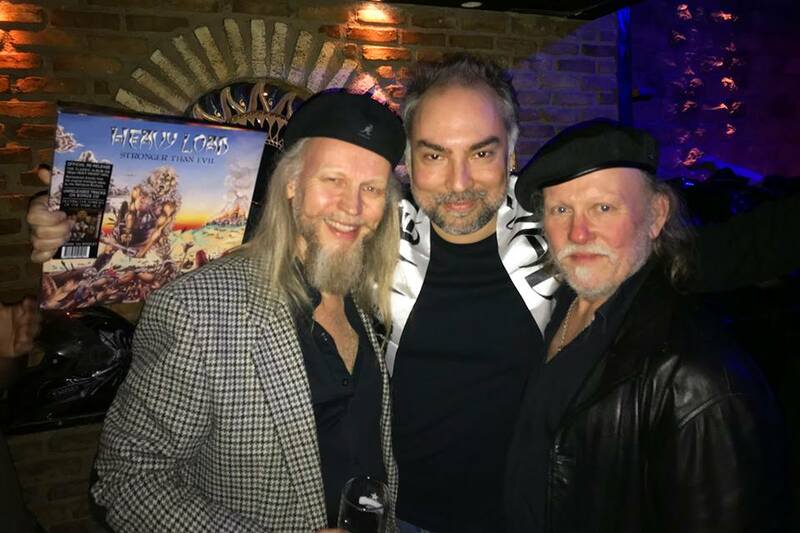 We, the Wahlquist Brothers, and our Greek friends had a gathering at the Crow Club in Athens. We made many new friends and the warmth and love we felt from everybody was overwhelming. Some had come from countries far away with exciting stories that enriched this magic night. 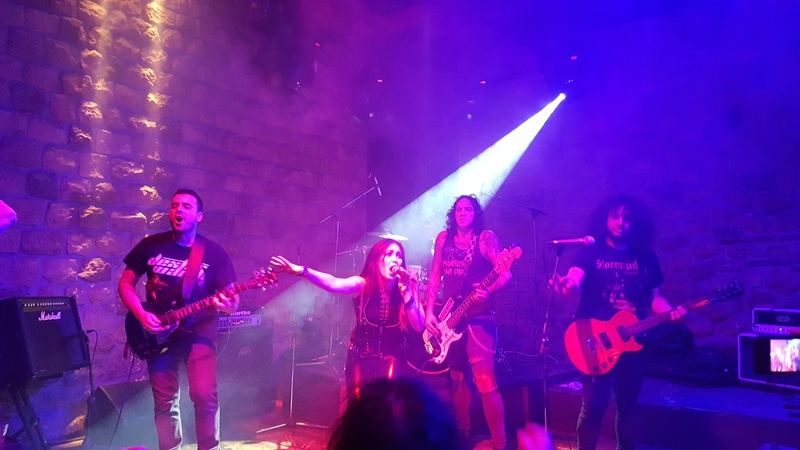 The Heavy Load tribute band “Heathens from the North” entered the stage and played their hearts out with many of our most popular songs. 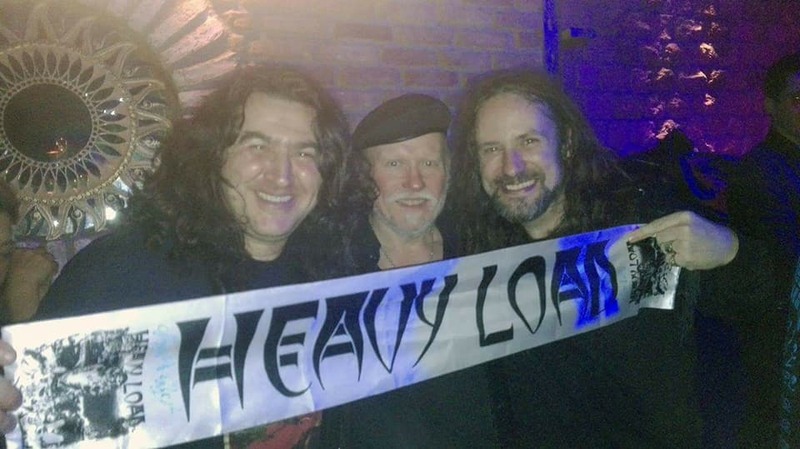 Heathens From The North, the Heavy Load tribute band, performed a whole set of songs from our last three albums. 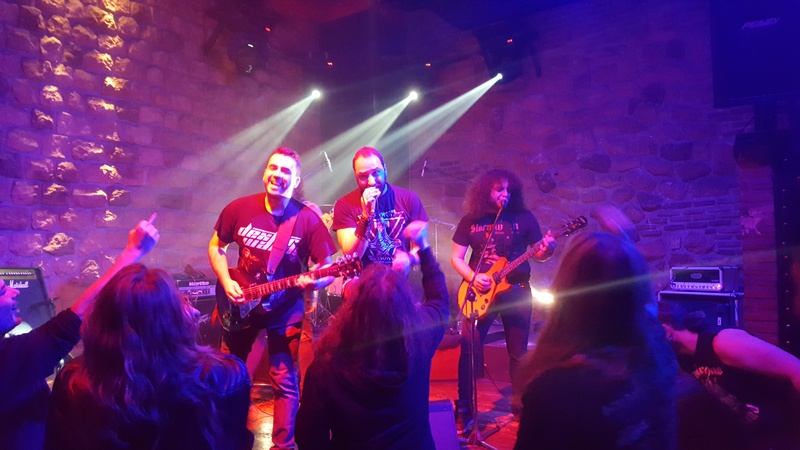 From left: Guitars Manolis Karazeris, Vocals Vaggelis Krouskas, Guitars Nikos Papakostas, Drums Gerasimos Notarakis and Stelios Darakis, Bass guitar Thodoris Voyiatzis. Ragne: It almost brought tears to my eyes to hear them play our songs. It was truly a night that will be remembered and just like anyone else in the audience I joined in singing the lyrics. For the first time I was one in the crowd listening to our own songs being played by another band. Thank you for being so amazing, I am very honored. Styrbjörn: Heathens from the North were totally magic on stage. I have now had the pleasure of seeing and hearing them both in Athens, Germany and Sweden and this night they were pure magic. 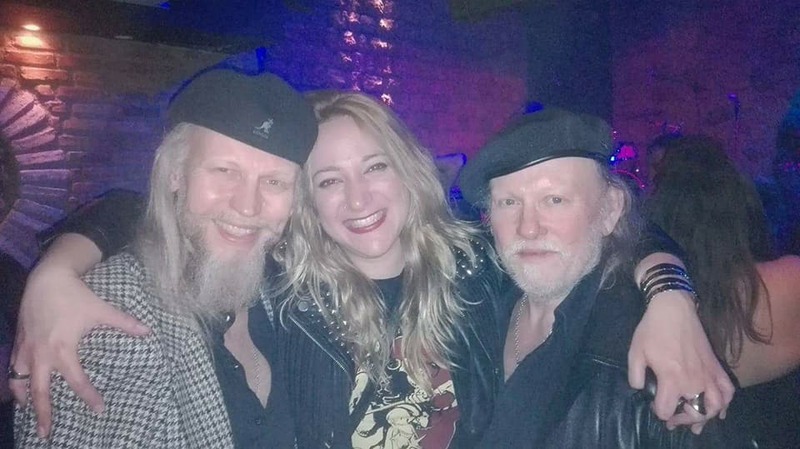 Styrbjörn: Manolis Karazeris wore a broad smile on his face all through the set and so did Ragne and I. Marta Gabriel’s singing and performance on “Take me Away” and “Heavy Metal Angels” were radiant like always. They have honoured us in such a way that my words fail to express my feelings. Thank you guys! Cannot thank you enough! 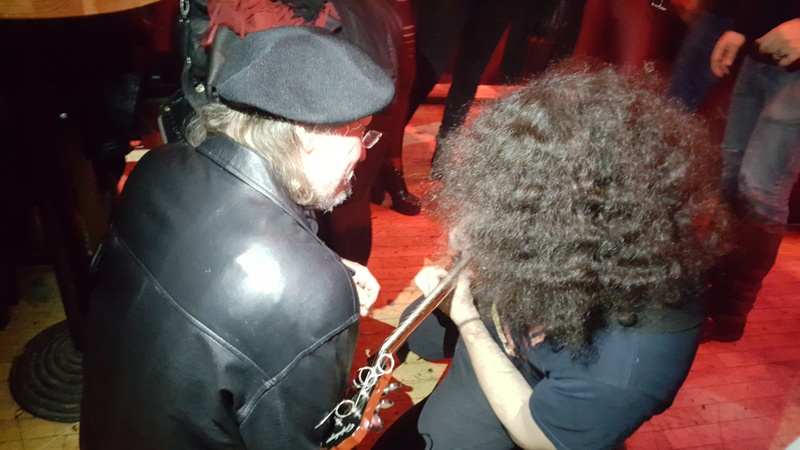 Ragne: The guitarist Nikos Papakostas and I having our moment when he came down to us in the crowd during the solo of “Singing Swords”. 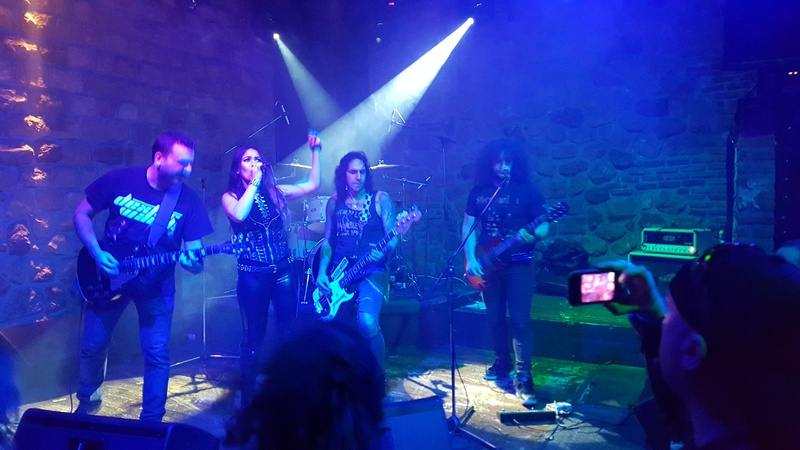 Ragne: Marta Gabriel from Crystal Viper mastered the microphone with two songs. It was a new experience for me to hear a woman’s voice on our songs, exciting, beautiful and fresh. We met a great number of wonderful people at this release party and hope to meet them all again, as soon as possible! Dimitris Tsouanas: “Trying to realize where the dream is ending and where the reality begins... Epic times, Valhalla level I would say”. Mary and Styrbjörn, Photo: Aggelika Serfou. Aggelika Serfou and we brothers partying. 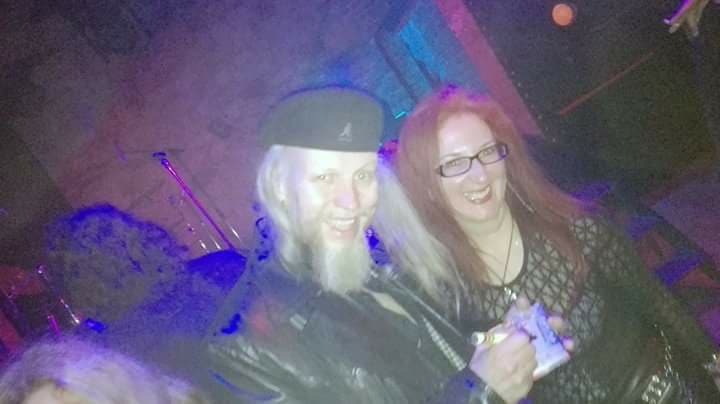 A fantastic night and the adventure of getting new friends, Photo: Aggelika Serfou.